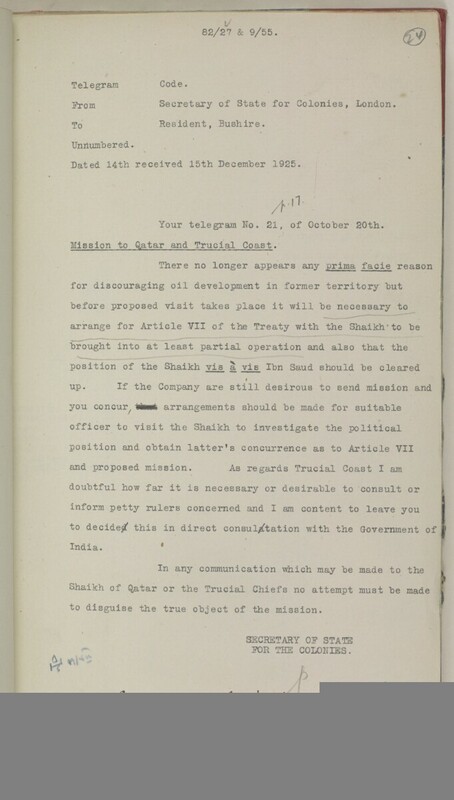 Dated 14th received 15th December 1925. Your telegram No. 21, of October 20th. 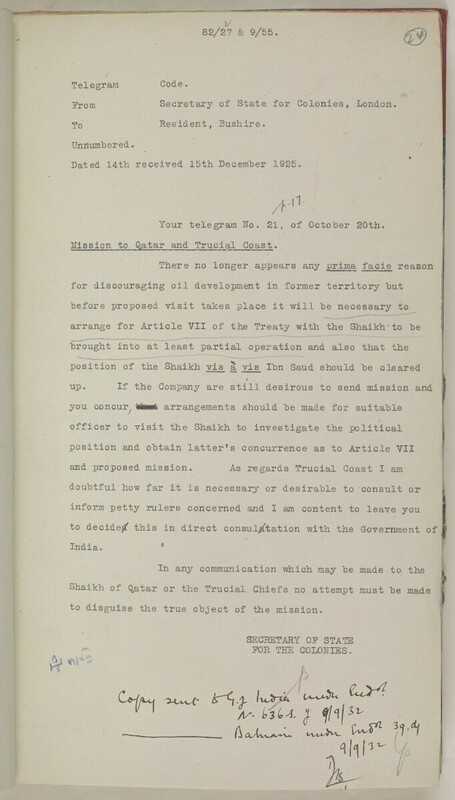 Mission to Qatar and Trucial Coast The historic term used by the British to refer to the Gulf coast of Trucial Oman, now called United Arab Emirates. .